Browse > Home / Photo Releases / NCDA Joins Forum on “Mainstreaming Disability in Development Cooperation”. NCDA Joins Forum on “Mainstreaming Disability in Development Cooperation”. 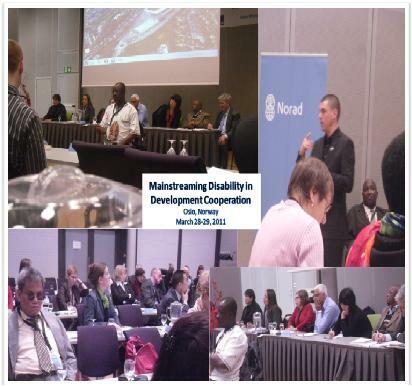 NCDA OIC Mateo A. Lee, Jr. took part in this global exchange forum in Oslo, Norway last March 28-29, 2011, which tackled barriers and solutions to mainstream disability agenda in Government Programs. As Rapporteur of “The Attitudes and Awareness Parallel Session”, he shared with his counterparts sound advocacy insights from his standpoint as a Visually Impaired Leader and a Government Officer.